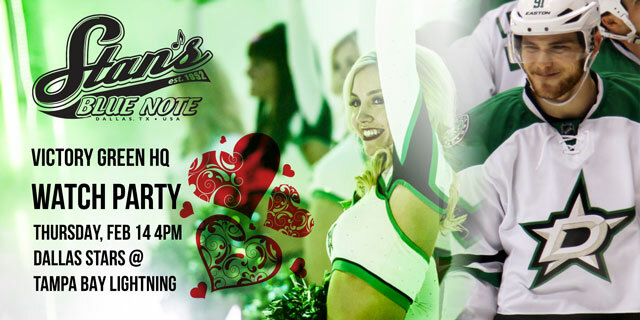 SHOW THE STARS SOME LOVE at our OFFICIAL watch party this Valentine’s Day as the Dallas Stars take on the Tampa Bay Lightning. Game starts at 6:30. There will be multiple Giveaways during the game!